For lovers of adrenaline-packed adventure holiday heart pounding, rafting is a sport to enjoy in your Costa Rica Vacation.Considered among the best places for rafting in the world, Costa Rica is a delight for paddlers. Here are the rivers from Class II to Class V rapids, with something for everyone. From families to adventure junkies and novice rafters to those who love the thrill of the postcard of a river, Costa Rica offers an incredible experience some water rafting. With roaring rivers falling from the mountains, have a different view of Costa Rica’s natural exotic beauty and amazing wildlife as you ride the many rivers here. There are a number of rivers that can be rafting. 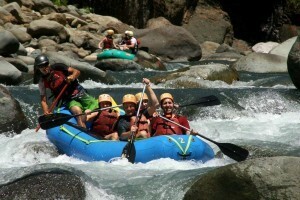 However, the Pacuare River, Reventazón, Sarapiquí and Corobicí are some of the best places for rafting in Costa Rica. Note that you choose a company experienced water rafting, as these companies are not regulated. An experienced guide means providing the right equipment, rafts, paddles, life jackets and helmets. In addition, make sure you choose a bilingual guide so you know what happens and what to expect as you paddle on the river. 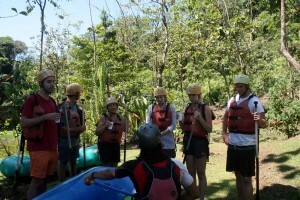 With no previous experience necessary as in other adventure sports, whitewater rafting Costa Rica is for everyone. But be careful because it can be very difficult there. Being a good swimmer is a prerequisite for rafting. Ideal for the adventurous at heart, it is important that you realize that the sport also has a number of risks associated with it. One day rafting Costa Rica Tours, trips include round trip transportation from Jaco Beach bus with lunch, while shipments of several days can also be arranged in the beam more eager for good food, large tents and sleeping bags thick overnight trips. If you want to go rafting on your own, you can do by renting a kayak or a canoe trip of the many agencies / travel across the country. 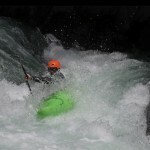 The best rivers are the Pacuare and the Reventazon River, with the months from June to October are considered the months wildest and wettest of the year. These series are available for all levels of experience, so be sure to put plenty of sunscreen and do not forget to bring a change of clothes.